BUSINESS BUDS 2019! Join us for an evening of networking and a discussion on how to use small business programs in DC. We are kicking off the year with a whole new mission of getting businesses prepped and ready for future opportunities. During this session, we show you how to use various DC small business programs so you can build your business and be ready for future opportunities. Our goal is to make sure you are doing business THE RIGHT WAY! Don't let headlines fool you into thinking certain "business activities" are legal. We will also have an extensive Q&A session so we can answer all of your burning questions! 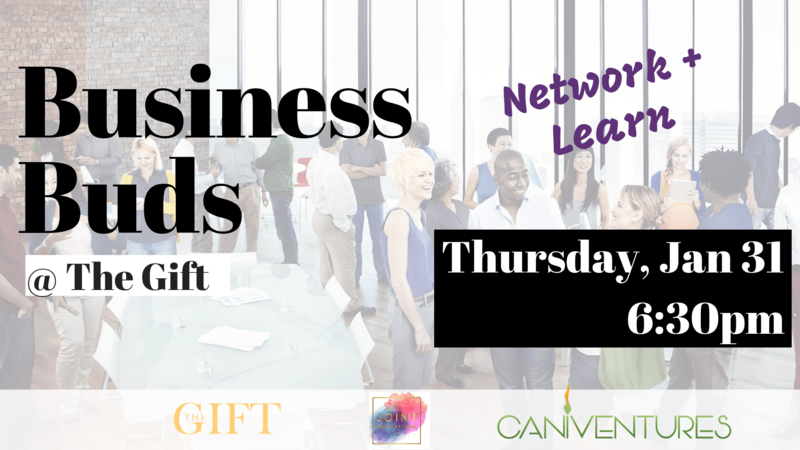 Whether you are just starting out, or already in business - Business Buds is the perfect opportunity to get out and connect with other like-minded entrepreneurs. This session is best for ancillary businesses, professionals, Hemp CBD businesses, or those interested in prepping their plant touching business for future (1 - 2 year) opportunities.